The Pew Research Center recently analyzed US Census Bureau population estimates of America's population as of July 1, 2015, and they found that last year, millennials outnumbered baby boomers for the first time ever. 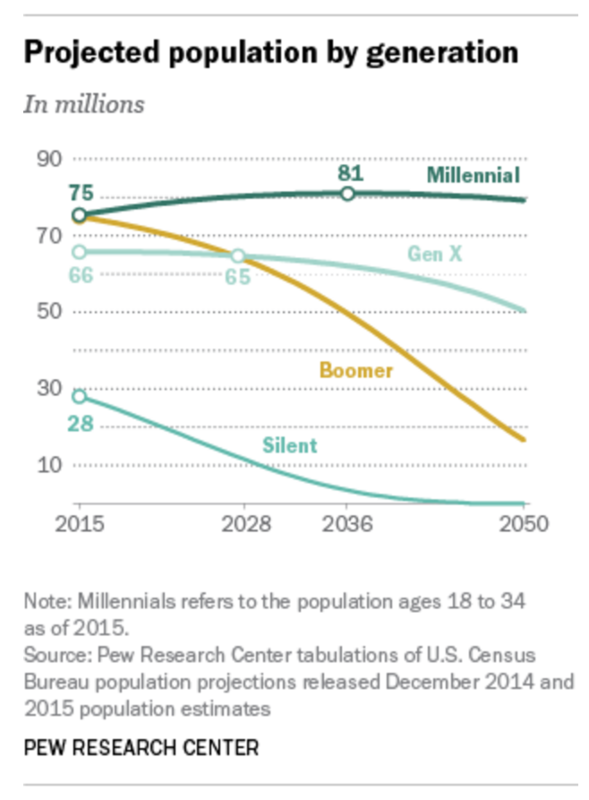 Using those definitions, Pew estimated that as of last year, there were about 75.4 million millennials, outnumbering the approximately 74.9 million baby boomers. Pew noted that this crossover occurs as the millennial population continues to grow in size because of young immigrants moving to the US, while the boomers are aging and beginning to die off.